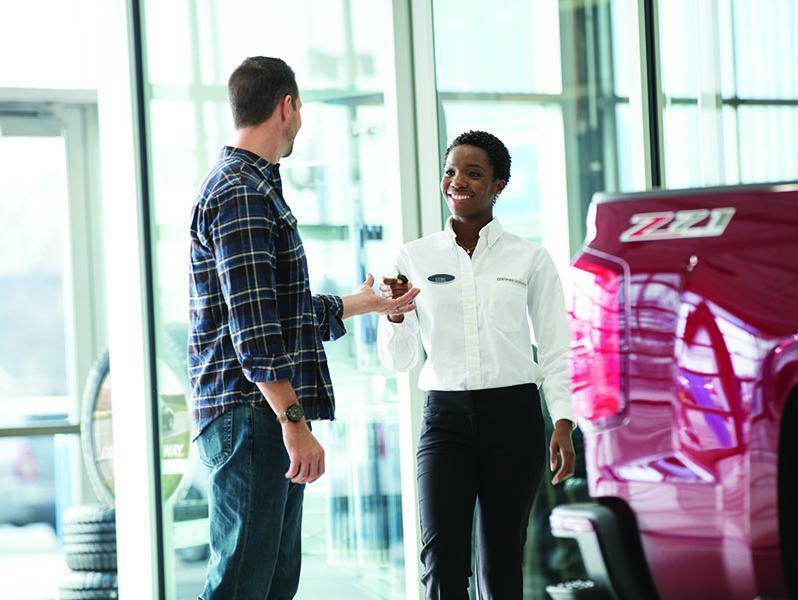 Exchange Privilege - Scherer Chevrolet Buick GMC Ltd.
LOVE YOUR VEHICLE AT FIRST SIGHT. You should be completely satisfied with your Certified Pre-Owned Vehicle. If for any reason you're not, you can exchange it within the first 30 days or 2,500 kilometres, whichever comes first. • The vehicle must currently be owned or leased by the retail purchaser/lessee of the Certified Pre-Owned Vehicle. • The vehicle must be returned in the condition in which it was delivered to the customer, without damage or excessive wear and tear. • Vehicles used for daily rental, hearse, taxi, limousine, snowplowing or delivery services. • The customer has previously returned a vehicle under the GM Certified Pre-Owned Vehicles One-Time 30 Day or 2,500 Kilometre Exchange Privilege within a period of 12 months commencing on the return date of that previously returned vehicle. • Vehicles that have had after-market accessories installed (e.g., radio or alarm system) unless installation was performed or sublet by the selling GM Certified Pre-Owned Dealer. Every vehicle returned under the Exchange Privilege will be inspected for damage and excessive wear and tear. If non-warranty repairs equal to or greater than $300 have been performed or are necessary, the vehicle is not eligible to be returned. If less than $300, the damage repair estimate will be deducted from the credit amount applied to the returned vehicle. The "Agreed Upon Exchange Value" will be used in determining the refund value to be applied to the replacement vehicle. If a customer exchanges a vehicle under the Exchange Privilege and waits for a replacement vehicle instead of choosing one from the dealer's available inventory, the selling dealer will not provide alternate transportation or allow a customer to keep the original vehicle while the replacement vehicle is secured.